Capt. James Williams was in command at the scene of a fatal fire north of Lakeland in November, where 76-year-old Loretta Pickard died. 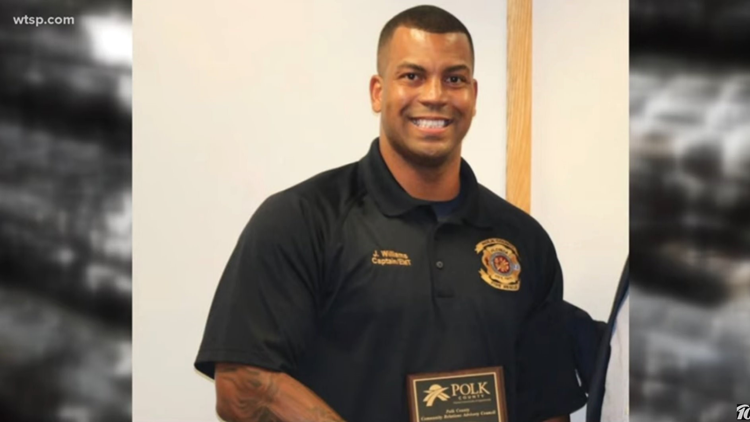 LAKELAND, Fla. — The Polk County fire captain who resigned Tuesday was about to be fired at that same disciplinary hearing, according to documents obtained by 10News. Capt. James Williams was in command at the scene of a fatal fire north of Lakeland in November where 76-year-old Loretta Pickard died. Pickard was on the phone with a 911 operator waiting for a rescue that never came. A 10News investigation revealed that Williams had not only from the scene of that fire but at least one other fire scene as well. Williams' actions violated county policy. Documents obtained Wednesday by 10News show Williams would have been terminated at a disciplinary hearing the previous morning, but that he instead submitted his resignation. 10News has also obtained the transcript of the testimony Williams gave investigators during the course of the investigation. In a letter to Fire Chief Anthony Stravino, Assistant Fire Chief Rick Parnell cites three reasons for what would have been Williams’ dismissal. Assistant Chief Parnell’s letter to Chief Stravino, dated March 11, said he had reviewed the evidence and reached a conclusion. An outside organization conducting an independent investigation into the fire that killed Pickard wrapped up its review last week. The results of that report are expected in about two weeks.